Happy Sunday friends! Okay, lately, I have been receiving many nominations for different awards and trying to squeeze my schedules to do nomination blogs. 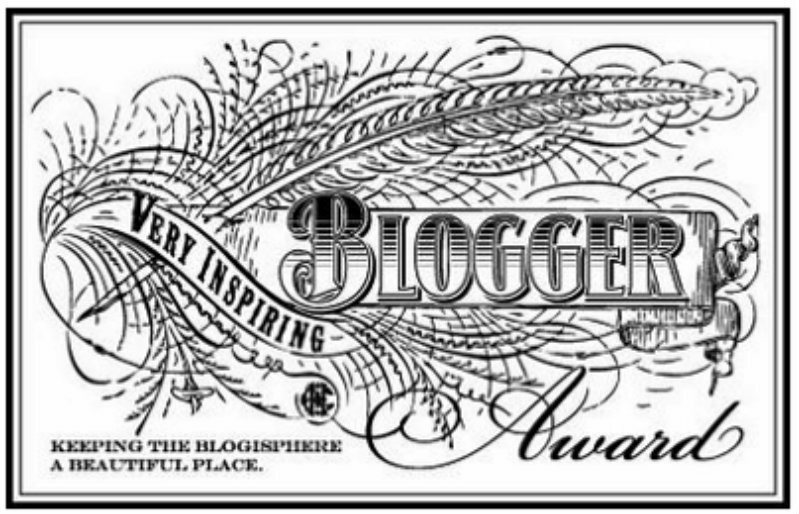 So, this time’s award which I got nominated was called the Very Inspiring Blogger Award. I wanted to express my thanks to these two lovely bloggers Clare and Suzy both from Blossomtoflourish for this awesome nomination. And by the way, make sure to check out these lovely ladies blog. They’re all good reads. 6. Display the award logo (button) on your blog, whether on your sidebar or about page, or special award page. 7 Facts You Don’t Know About Me! 1) I moved from city life to a more outskirt area for a quiet and tranquil life. The fresh clean air suppose to help me with my health condition. 3) I have a collection book of my favorite authors Pearl S Buck and Lucy Montgomery (Green Gables). It took me about 2 days to finish reading a good book. 5) I love to collect and pick beauty products or snacks or cute fridge magnets or rare stuff from all the places I’ve visited. If you are reading this and haven’t been nominated, then I nominate you and you and you! I’d love to read your answers to “7 Facts You Don’t Know About Me” and just link to my post if you are doing it. Thank you for taking the time to read and commenting on my post. You’re all an inspiration to me to write my blogs!